“All’s a story in Chotti Munda’s life,” we’re told near the beginning of Mahasweta Devi’s Chotti Munda and His Arrow, a novel that tells of the eponymous Chotti and his Munda village across seven decades in colonial and postcolonial West Bengal. “Munda language has no script. So they turn significant events into story, and hold them as saying, as song. That’s their history as well” (18). But this is a history that has often gone untold. The Munda people are among the so-called Tribals or Adivasi, the indigenous groups that make up almost 10% of India’s population but remain at the margins (at best) of the country’s national imaginary. Devi’s novel thus rescues an alternative history that troubles and even subverts the official narrative, revealing its blindspots and silences. Not the least of this book’s subversions is the fact that it forcefully refuses any gesture towards national allegory. Whereas, say, Saleem Sinai, protagonist of Salman Rushdie’s Midnight’s Children, is born symbolically at the precise moment of India’s independence, Chotti Munda is born much more prosaically sometime at the beginning of the twentieth century. Which means that he is almost fifty when the Indian state comes into being on August 15, 1947. But the event hardly enters into his story; independence is a matter for the “Dikus,” the Hindu majority who impinge on the Mundas’ world as landowners, merchants, and shopkeepers. “The August movement did not even touch the life of Chotti’s community. It was as if that was the Dikus’ struggle for liberation. Dikus never thought of the adivasis as Indian. They did not draw them into the liberation struggle.” Yet on the other hand this makes the Tribal perspective a rather good one for assessing the achievements (or otherwise) of the nation-state, given that the adivasis “stand at a distance and watch it all” (96). Among the stories told here, then, is the story of India; what the novel refuses is the way in which allegory enforces an identification between character (and reader) and nation. However much it imitates the myth-making tendencies of folklore, and despite (or even because of) its keen interest in the workings of culture and power, the history told in Chotti Munda and His Arrow is posthegemonic. Chotti himself has an ambivalent relationship to the story-telling and myth-making that surround him. As a teenager, against family warnings, he is drawn to Dhani Munda, his sister’s grandfather-in-law, who has fame as a rebel (he passes on the history of Birsa Munda’s late nineteenth-century revolt against the British) and as an archer. No one else wants to hear the old man’s stories, so Chotti becomes their guardian when he asks Dhani to teach him to shoot arrows; and by doing so he also “becomes a part of the epic” (7). When Dhani dies, killed by the colonial police for breaking an order expelling him from the region, Chotti takes on his legacy and earns a reputation as an archer with a magic arrow who wins tournaments at every local fair. He finds he now has the “responsibility of keeping alive the legend that is growing up around him as he wins stake after stake. But he hadn’t wanted to be the hero of legend” (32-3), and he resists the notion that there is anything supernatural or magic about his prowess. The secret, he tells anyone who asks, is simply repetition, practice: “That practisin’ is t’spell” (25). And this is the lesson that he later passes on to a younger generation in turn, that they can reshape their bodies through practice, habitual adaptation to the bow: “Spell, spell, all see me spell. Look at me hand man, hard wit’ pullin’ t’ bowstring. I practice all t’ time. Will ye?” (50). Chotti thus becomes an agent of continuity and tradition over a seventy-five year period (three generations) in which everything changes and yet nothing changes. Everything changes in that, beyond the departure of the British and the transition to independence, modernity and economic development also transform even this relatively remote landscape of rivers and forests. The railway comes, and even if the train doesn’t always stop, it means “modernity, power, machine” (49). The station is enlarged and Chotti notes that “everything seemed to be changing with the Mundas” (107). Eventually, the arrival of motorcars and movies confirm that the village enters “the modern age” (222). Meanwhile, “the Mundas and lowcastes of Chotti village enter the national economic pattern of independent India” (140) and capitalist relations of commodification and wage labour replace traditional communal ties: “The day is coming. Mundas will not be able to live with their identity. [. . .] Then there’ll be a shirt on his body, perhaps shoes on his feet. Then the ‘Munda’ identity will live only in festivals–in social exchange” (110). Not that the Tribals are simply unwilling victims of these transformations: when feudal, bonded labour is banished it is the landowner who finds himself stuck in the past as his workforce demand that the new law is enforced, and refuse to collect the harvest otherwise, much against his wishes. If Chotti is not particularly sentimental about the transformations he witnesses (and in fact encourages) over the course of his long lifetime, it is perhaps because in other ways so little changes. In the final, violent showdown over the shift from bonded to wage labour, two agents of the Youth Congress who have been instrumental in repressing the Naxalite insurgency under Indira Ghandi’s State of Exception, the “Emergency,” are killed in the forest. One, named Romeo, had been especially brutal. But when he is killed, and as Chotti Munda considers the inevitable police reaction to come, “terror like we’ve never seen” (285), the narrator muses that “There are adivasis, there are subcastes, the Romeos kill them, it happens like this. But if one or a few adivasis kill the Romeos it is an unexpected event. The Romeos kill, they are not killed. This is the rule. Under all regimes” (283). And though this is in some ways a disheartening observation, in that there seems no end to the villagers’ subaltern status, it is also a source of some comfort: the adivasis will endure this injustice, as they have endured so many before. Or as the outcaste (“untouchable”), Chhagan puts it to Chotti when they go down to the riverbank to discuss the latest crisis, “All’s changed. [. . .] But t’ river’s t’ same.” To which Chotti, who himself is named after the river and is almost as unperturbable, responds: “Nothing’s changed. Just t’ pressure’s on t’ rise” (276). says fast in the language of the Mundas, Dhani Munda! I’m raisin’ yer name an’ shootin’ yer arrer today. To stay true, meself to meself. Chotti comes before the target with light and fast footsteps. And tells everyone, No fear y’all. Then he shoots, into the target. Then he waits, unarmed. As he waits he mingles with all time and becomes river, folklore, eternal. What only the human can be. Brings all adivasi struggle into the present, today into the united struggle of the adivasi and the outcaste. The novel’s final lines see Chotti still waiting to see the administrator’s reaction, as “a thousand adivasis raise their bows,” a multitude pronouncing “a warning announced in many upraised hands” (288), a declaration from outside of history that this time, perhaps, history itself may change for good, and a new story be told. 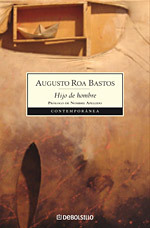 Half-way through Augusto Roa Bastos’s first novel, Hijo de hombre (“Son of Man”), comes a point at which the narrator of this particular section, a military man who’s been sent to the Paraguayan provinces under a cloud, is confronted by a large group of would-be rebels. They ask him to join their rebellion, to guide them as they form an anti-government militia. The narrator asks for time to think, but reflects to himself that he “already knew right then that sooner or later I’d say yes. The cycle was starting again, and once more I was caught up in it.” He then asks himself: “Was it not possible, then, to stay on the margin?” (182). Writing from or about what would seem to be the periphery of the periphery–rural Paraguay in the first half of the twentieth century–Roa Bastos questions the very dichotomy between periphery and center. We are always in the thick of things, whether we like it or not. Hijo de hombre also plays with circularity, in both theme and style. The narrative, for instance, is far from linear: it is repeatedly drawn to certain points of intensity, geographical and temporal, such as the Sapukai railway station and the huge blast that destroyed it during a previous insurrection. The railway itself is of course the model of a straight line, but its apparent advantages (speed, direction) are soon shown to be weaknesses when a train loaded with explosives is bearing down upon you. In the aftermath of the destruction, one of the train’s wagons, thrown many hundreds of yards from the site of the impact, becomes home to a family determined to take it quite literally off the rails. Slowly and surreptitiously, over a period of many years, they haul it deeper into the undergrowth. A small deviation from the line gradually expands. And it is here, by this ruin that testifies both to the indiscriminate violence of the state and to the tenacious persistence of the people, that the encounter between proto-guerrilla and treacherous guide takes place. It may be, Roa Bastos appears to suggest, that the quickest and surest route is not the straightest but the most circuitous. The couple who end up in the railway wagon get there after a daring escape from indentured servitude. But it is only thanks to the fact that, on leaving the estate on which they had been sequestered, they first wandered around in circles, that they could make good their flight. Their overlapping, directionless tracks confuse the bloodhounds sent to hunt them down. And the novel’s own rather free-wheeling, roundabout, sometimes repetitive style also thereby perhaps takes us better into the heart of things. For each time we return to a place, a character, a moment in time, we may find we know it a little better. As we are always in the thick of things, we keep bumping up against what Roa Bastos is telling us are the central aspects of poor Paraguayans’ experience in the twentieth century: violence, repression, and fear, but also humour, ingenuity, and faith. There’s no straight line of redemption from slavery to freedom, no mechanistic dialectic of progress or liberation. But there are moments of freedom, small deviations to which we insistently return to enhance and expand. Within Latin American Studies, people sometimes treat subalternism as a movement that is done and dusted: as though the break-up of the Latin American Subaltern Studies group over a decade ago had meant the end of that particular road. But a book such as Adriana Johnson’s Sentencing Canudos reminds us that this is far from true, and indeed that in some respects we have barely begun the project to re-read the Latin American archive with an eye to the mechanisms of subalternization and resistance. Canudos, the object of Johnson’s focus, was a settlement in the dry backlands of Bahia, Northeastern Brazil, founded in 1893 by the followers of a charismatic preacher and mystic, Antônio Conselheiro. Viewed as a threat by a range of authorities, from the local church to (eventually) the national government, it was the object of a series of attempts at military pacification, each of which were fiercely resisted. Despite their portrayal as uncivilized savages, its inhabitants managed to embarrass the nascent Republic (established in 1889) by repelling two expeditionary forces of the Brazilian army until, finally, in October 1897 they were overwhelmed by the sheer quantity of men and resources devoted to their extirpation. The War of Canudos is best-known today thanks to its documentation in a classic text, Os Sertões (1902; translated into English as Rebellion in the Backlands), by Euclides da Cunha, a journalist who had covered the conflict for a São Paulo newspaper. But the story has been told by others in a range of genres, from novels to films, perhaps most notably by the Peruvian Nobel Prize-winner, Mario Vargas Llosa, in The War of the End of the World. And as Johnson observes, Canudos has been taken up by contemporary theorists such as Ernesto Laclau and Slavoj Zizek, who terms it “forever the model of a liberated space, of an alternative community which thoroughly negates the existing state space” (qtd. 80). What happened over a century ago in this remote, impoverished corner of South America seems to have something to say to us not only about the traumas attending the formation of the Brazilian nation state, but also about the perils of political and aesthetic representation in Latin America and about the limits of sovereignty as a whole. For all the scrutiny they have received, just about everything about Canudos and the violence it provoked is contestable and uncertain: from the size of the settlement or the manner of Conselheiro’s death to whether the Conselheristas’ protest should best be described as political or pre-political, religious millenarianism or atavistic monarchism. Johnson is not so much concerned to establish the truth of Canudos, though she persuasively argues that the community is best seen as a response to an intensification of governance, a “second conquest” whose resultant tensions were inscribed upon the transition from Empire to Republic. She is more interested in the ways in which it has been represented, in terms of a “prose of counter-insurgency” that casts its inhabitants as liminal figures–neither fully belonging to nor fully beyond the national community–in short, as subalterns. She is also interested in the ways in which those representations, above all da Cunha’s, have themselves been received and represented. What explains the success of Os Sertões, its canonization as a model of both insight and judgement? Johnson dwells at length on the problematics of representation, in its double meaning as portrait and proxy, as aesthetic depiction and political mediation. Likewise she explores the ambivalence of the notion of the “sentence” that provides her work with her title: both linguistic form and juridical decision. She aims to challenge the finality of the sentence, the way in which the Canudenses have been “sentenced to history [. . .] inscribed in history, overtaken by it, condemned to take part in it, turned into its subjects” (163). There’s perhaps no better instance of this than the way in which da Cunha insists that there were no survivors of the conflict, that the rebels were eliminated to the very last man, woman, and child. On the one hand, in his guise of voice for the “voiceless,” he intends both to praise the stubborn resistance of the vanquished and to condemn the excessive force of the victors. But on the other hand, and especially once we note that in fact several scores of the prophets followers emerged alive from the final conflagration, it is as though he himself desired to write out the event more emphatically than even the army had: “By killing off the inhabitants, da Cunha effectively isolates Canudos in time [. . .]. Nothing comes after it, other than his own book, the lullaby to lay them to rest” (167). Both too familiar and unsettlingly unfamiliar for the forms of literary or state representation, the ordinary everyday is always already posthegemonic. Here, then, habit comes to the fore: habit as both the structured repetition of daily activities and what resists any attempt to give structure to what is every day slightly different. For habit is a mode of repetition in which what returns or is done again is never precisely the same; it encodes a certain lag, a friction that incarnates an innate heterogeneity. Habit is always opposed to the grid, to precise measurement or to chronometric time. Habit is a domain that has to be “conquered, transformed, and rendered commensurable” (91) by an expansive nation state and market society, even as its regularities and repetitions also subtend and enable structures of exchange and equivalence that are never quite as homogenous as they are made out to be. No wonder, then, that as Johnson shows both Canudos and the “Quebra-Quilos” riots of a couple of decades earlier had habit–or the tension between the heterogeneity of habitual repetition on the one hand and the homogeneity of standardization and chronometric regulation on the other–at the center of their respective conflicts. Quebra-Quilos (“Smash the Kilos”) “often involved the destruction of the scales used to weigh goods in the marketplace” and even “included the deliberate destruction of house numbers” (86). Canudos likewise expressed a resistance to “new processes of governmentalization” (94) from taxation to civil marriage that were perceived as an encroachment on what Peter Linebaugh (in The London Hanged) discusses in terms of the criminalization of customary rights and the imposition of the wage relation. In other words, not only does da Cunha’s “prose of counter-insurgency” function to eliminate the everyday in its account of Canudos: the struggle itself was at heart part of a massive effort to transform or transmute everyday rituals into the regularities of life under the modern state. Ultimately, Johnson claims, it is not that the settlement’s inhabitants were protesting their abandonment by the state (as some have suggested); theirs instead was a plea for autonomy. 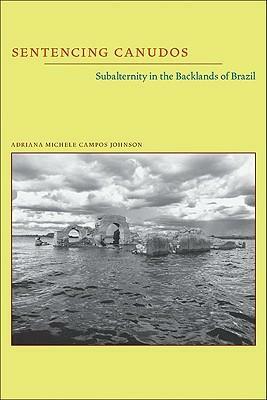 In sum, Sentencing Canudos, in leveraging Subaltern Studies so as to go beyond the stale narratives of transculturation and/or deadening solidarity with the poor that have dominated Latin American cultural studies, begins to make visible the ordinariness that is at stake even in the most extraordinary events such as the destruction of Canudos, and even in the most canonical of texts such as da Cunha’s Os Sertões. From the ruins of the past (such as the remains of Conselheiro’s church, featured on the book’s front cover), it aims to produce not a new totality or a “noble unity” (168) but the possibility of new habits of reading and thinking at odds with the ordering devices of would-be hegemonic projects. John Beverley presents himself as the grand old man of Latin American cultural studies. And not without reason. He was there at the outset in the early 1990s, and has figured in almost all of the significant discussions and debates–about testimonio, subalternity, representation, the politics of location–that have marked the field’s trajectory since. He has been equally instrumental in building the infrastructure of the field. At Pittsburgh, he helped organize the various conferences that brought together significant players associated with cultural studies in Latin America. And he has directed the dissertations of numerous graduate students who have gone on to become important voices themselves. Throughout, Beverley has often shown remarkable generosity of spirit: though his own intellectual and political positions have been clear and often trenchant, he has seldom found the need to impose them on others. He has always welcomed dialogue and disagreement. If there are no “Beverleyites,” that is to his credit: he has never forced anyone into his own mold. But as time passes, he increasingly feels that he is part of a generation that is the last of its kind: the last that can remember the heady days of armed struggle and revolutionary enthusiasm; the last, he suggests, with a personal link to a politics that was truly a matter of life and death. As such, Beverley is perhaps understandably concerned for the future of the field once that link is finally broken. Even among his peers, too many have given up the fight, have turned instead to reactionary neoconservatism; meanwhile, the young are too easily tempted by ultraleftism or other “infantile” disorders. 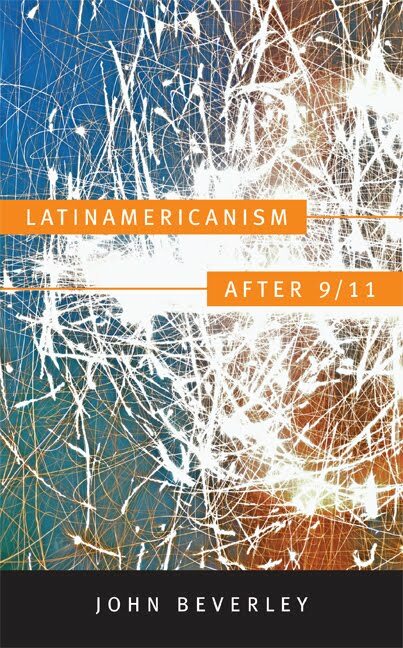 In Latinamericanism After 9/11 , then, we can imagine him as a “venerable old teacher,” who with “a firm voice–a masterful voice capable of seizing an idea and implanting it deep within the listener’s mind”–sits us down to listen to him. The notion of rewriting or creatively adapting a classic text is hardly new. From Jean Rhys’s Wide Sargasso Sea to Apocalypse Now or Pride and Prejudice and Zombies , the idea is to take a cultural ur-text from which in some way we cannot escape, and to reform it for contemporary concerns or sensibilities. Sometimes the aim is simply to recontextualize or update a story that is now thought to be stale or over-familiar (as with the numerous reimaginings of Shakespeare such as 10 Things I Hate About You ). But often these always parasitical texts also present strong misreadings that are implicit, or even explicit, critiques of the original; Rhys’s novel could be the (by now itself classic) instance of such a critical rewriting. J. M. Coetzee’s Foe belongs to this tradition, but in some ways his text is as much an unwriting of Defoe’s Robinson Crusoe as it is a revision or extension of the original. Coetzee purports to reveal and so undermine the writing strategy that gives us Defoe’s book; Foe is a parasite that aims to kill its host by imaginatively troubling the very process of its production. It poses as less supplement than antidote. Hence, then, the novel’s title. In the first instance, “Foe” is a deformation of the name by which we have come to know Robinson Crusoe ‘s author. It strips him of the claim to privilege that Daniel Foe attempted to assume when he changed his name to Defoe in order to imply some kind of aristocratic lineage. But second, Coetzee’s book also treats Defoe as the enemy of the story that Coetzee, or his proxy Mary Barton, wishes to tell about desert islands, so-called savagery, but above all story-telling and writing itself. Barton is Foe ‘s protagonist and, in one way or another, its narrative voice. To remind us of this notion of voice, the first two-thirds of the novel is written, literally, in quotation marks: this contains Barton’s own account of her arrival on a desert island in which Cruso (for so she spells his name) and “his” man Friday are already established, of the trio’s rescue by an English merchantman, and of Cruso’s subsequent death on the voyage home; it also includes her increasingly anguished letters, from various lodgings in London, to the author Daniel Foe to whom she has entrusted her story with the hope that he will produce a polished account of her travails. The final third of the book (apart from a very brief section that is more of an epilogue) then consists of Barton’s conversations with Foe when she finally tracks him down to find out what kind of narrative the author is making of her experience. Setting Barton’s story to rights, however, introduces a series of apparent wrongs. For one thing, art seems to require embellishment. Life on the island was, after all, on the whole rather boring, not least because Cruso had been far from an entertaining conversationalist: so engaged was he in interminable agricultural labors that he had “nothing left to talk of save the weather.” Barton therefore muses at the time that “Cruso rescued will be a deep disappointment to the world; the idea of a Cruso on his island is a better thing than the true Cruso tight-lipped and sullen in an alien England” (34-5). It is Foe’s task, then, to preserve the idea of Cruso from the disappointing reality. This embellishment, though, further requires a whole series of other changes. Passion has to be added to the mix: if there was “too little desire in Cruso and Friday: too little desire to escape, too little desire for a new life,” then something needs to be done because “without desire how is it possible to make a story?” (88). And as a counterpoint (or perhaps, prompt) to desire, Foe injects also fear of exotic difference and strangeness: the island needs to be under the threat of encroaching cannibals, even though Barton herself notes that “As for cannibals, I am not persuaded” for “I saw no cannibals; and if they came after nightfall and fled before the down, they left no footprint behind” (54). No footprint: Foe’s task, his art, is to supply signs such as the famous footprint in the sand that will conjure up the range of affects that may transform Barton’s tale into one that satisfies English readers’ desires for… well, desire itself. His enterprise is made easier, though its result all the more troubling, by the fact that not only is the sullen Cruso no longer around to disappoint would-be interlocutors, but Friday is mute, his tongue mysteriously removed by person or persons alone (other “savages”? Cruso himself?). The subaltern subject can only have his tale told for him: “The true story will not be heard till by art we have found a means of giving voice to Friday” (118). And yet Friday’s silence pervades the book, garnering almost physical presence as it is compared to “smoke [. . .] a welling of black smoke” (118). Soon Barton, if not Foe, realizes that Friday’s story, which will remain forever untold, “is properly not a story but a puzzle or hole in the narrative” (121). Foe is apparently set on making up for this unfillable hole at the center of his story “by inventing cannibals and pirates,” but Barton continually and resolutely rejects such narrative solutions to the problem of mute subalternity. So if Cruso is sullenly and uninterestingly silent, and Friday is mute because of some unnameable and unlocatable violence, Barton’s own lively but resistant voice, which gives Foe its substance, will in turn have to be silenced so as to give proper literary form to the text that will become Robinson Crusoe . The third and final silence, then, is the silencing of Barton for the sake of the story. As she herself imagines it, Foe will come to think “Better had there been only Cruso and Friday. [. . .] Better without the woman” (72). The paradox, as Barton observes it, is that she is both essential to the story (“Yet where would you be without the woman?” ) and at the same time resistant to the process of story-telling and the sureties that it seems to require: “I am not a story, Mr Foe,” she asserts (131); “But now all my life grows to be story and there is nothing of my own left to me. [. . .] Nothing is left to me but doubt. I am doubt itself. Who is speaking me?” (133). If then, Robinson Crusoe is a tale of destitution overturned or compensated for by (male) hard work and ingenuity (though as I have suggested, some markers of the doubt that undoes its claims remain), Foe is an account of a different kind of destitution: of the way in which in which literature itself is a means by which to deny the subaltern (woman) her questioning, doubt-filled voice, and to project other desires onto the mute subaltern (savage) that remains. Foe is a reminder, moreover, of what Barton terms “the life of a substantial body” even though that life is “abject. It is the life of a thing” (125-7). Barton consistently affirms substance and “substantial being” (90) while recognizing the power of writing and the way that even substance can be written out, written over, or lost. “Return to me the substance I have lost, Mr Foe,” she entreats (51). 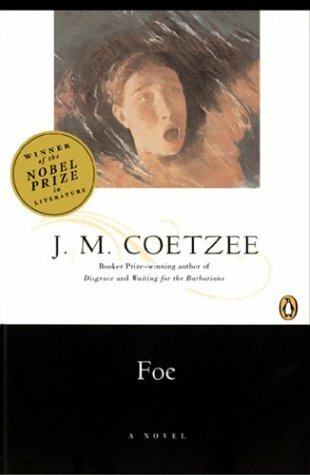 Foe suggests that that only way to do justice to such loss of substance is to take up arms against the writers of the classics, to undo their claims of authorial mastery–though of course one of the many ironies of this contest is that the masterful Coetzee emerges from the fray with substantial authority himself. In class yesterday, Salvador and Sophie came up with a couple of very good points in our discussion of William Rowe and Vivian Schelling’s Memory and Modernity . Indeed, their criticisms apply to a greater or lesser extent to much discussion of Latin American popular culture, or even popular culture in general. Meanwhile Sophie’s point was that in stressing the positive, creative, and resistant characteristics of popular culture, Rowe and Schelling downplay the continued injustices and inequalities that still plague so much of Latin America. Moreover, the implication is that there is little or nothing that can or should be done about the situation of the poor or downtrodden; there is no reason for anyone else to bother about it, let alone intervene in some way. First, I suggested that they were saying something like “Yes, but…” Yes, the indigenous peoples of Latin America (and by extension all other subaltern and subordinated groups) have historically been the victims of great violence and exploitation, but even so they have managed, against the odds, to continue to resist in often surprising and unexpected ways. Rowe and Schelling do, after all, acknowledge from the start that “The Conquest had catastrophic consequences for the Andean and Mesoamerican civilizations.” And yet, they continue, “despite this, neither the colonial nor the republican regime has been able to expunge the memory of an Andean, Aztec and Mayan civilization” (49). Indeed, the very notion of resistance implies that there is something to resist. If we see the indigenous (again, or other subalterns) as simply victims, then in some ways we also are ignoring their agency, we also are downplaying their inventive and creative capacities. Precisely the interest of popular culture, for Rowe and Schelling, is that it is here that we can see the evidence of this resistance and creativity; here we can appreciate what those in power have always either ignored or feared, which is that despite it all the subaltern continues to make its presence felt. Second, I think that Rowe and Schelling would respond in similar ways to Sophie’s argument. If we are only ever thinking about what “we” in the privileged and powerful First World should or can be doing for those in the Third World, then we too are denying those people’s agency. This is not an argument that nothing can or should be done. But in order best to understand the situation, and so the pitfalls as well as the virtues of any action, we also need to be aware of the kinds of struggles that such people are already engaging in, without or without “us.” I think that’s part of what Rowe and Schelling term “subaltern classes ma[king] themselves visible, demanding social recognition” (132). That’s not to say that everything’s AOK, not by a long shot, but to take account of existing expressions of agency and subjectivity. Again, the argument is that such expressions are perhaps best seen in popular culture, which is why Rowe and Schelling want to distinguish popular culture from what they call the “culture industry” or from official, state-sanctioned instances of culture. Finally, I think that these issues are also relevant to discussion of this letter written by a UBC student on the university’s Terry blog. The letter writer clearly has her heart in the right place. (And incidentally, I don’t agree with the tone of the disparaging comments that she’s received.) But she, too, is worried that she is being self-indulgent. I would go further: we learn from an investigation of Latin American popular culture that the relationship between First World and Third World, or between North and South, is more complicated than a simple dichotomy of victimizer (however unthinking) and victim. There are more complex negotiations and exchanges at work. If we don’t recognize this, then we inevitably end up being patronizing. A brief note. In Chile in December, thanks to Rodrigo Naranjo, I came across the work of the Laboratory of Declassification. 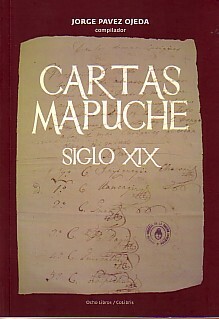 Rodrigo also introduced me to Jorge Pávez, who kindly gave me a copy of his book, Cartas mapuche: Siglo XIX , which is in large part an outgrowth of this declassification project. The book is to be formally launched on Thursday; on the off-chance I have any readers in Chile, I urge you to attend. Jorge has written a very interesting introduction to the volume, which I hope to comment upon at some point. And Rodrigo was quite insistent that Posthegemony was merely a new Latin American cartography (to return to such topological metaphors) or, I suppose, a restratification. I’m not convinced about that, or that in fact declassification doesn’t inadvertently fall into a similar trap: isn’t every declassification also necessarily a reclassification, too? However, and again in light of the fact that subaltern studies qua subaltern studies never in the end produced very much in the way of redescriptions, let alone historical redescriptions, of Latin America, perhaps declassification is the true inheritor of the subalternist project? Link: The Laboratory also has a blog which, although it has not been updated for some time, has some interesting texts, including by people such as Federico Galende.